NBN’s second broadband satellite – Sky Muster II – was launched this morning to provide additional data capacity to the service. Blasting off from an Arianespace launchpad in French Guiana, following delays caused by bad weather, the satellite will undergo technical testing in it's orbit 36,000 km above sea level before it becomes operational in coming months. Senator Mitch Fifield, Minister for Communications, announced that “Thunderbird’s are go” at NBN's Sydney headquarters this morning and pointed to the benefits broadband connectivity would bring to Australians in regional and remote areas. Despite ongoing frustration from rural customers connecting to the NBN via the Sky Muster I satellite around speed, reliability and data usage caps, Fifield said for most the experience had been “an overwhelmingly good one”. A press release issued ahead of the launch noted that the satellite would play a “critical role” in providing access to fast broadband for 400,000 Australian homes and businesses. Fifield clarified that although that figure was the potential footprint, the NBN estimated that between 200,000 and 250,000 premises would take up Sky Muster services. Pressed on the effect a higher than estimated take-up would have on speeds and reliability, the senator highlighted the necessity of fair usage limits, to ensure anyone who wanted “reasonable access” would get it. Peter Ryan, NBN’s chief network engineer, added that the NBN was “very confident in our estimates of that take up rate”. A survey released in May by rural internet user group Better Internet For Rural, Regional and Remote Australia (BIRRR) found that existing satellite customers faced a “data drought” due to the fair use policy, which restricts users to about 75 gigabytes a month during peak times. “There is increasing concern that data limits announced for SkyMuster by NBN will simply not be sufficient into the future,” said Kristy Sparrow, founder of the BIRRR. “Currently internet connectivity does not meet the educational, business, health and welfare needs of regional Australians. Fifield made no indication that the additional satellite would spur a review of fair usage policy, saying Sky Muster II would “add capacity and builds greater resilience into the overall system”. 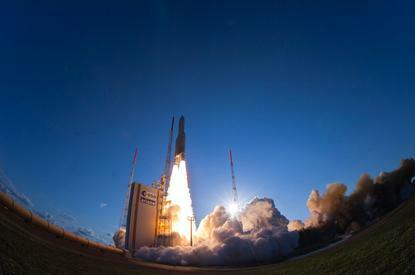 The first Sky Muster satellite experienced a “temporary outage” last week which was blamed a failed software upgrade. A large number of customers were still unable to reconnect days after the incident, according to BIRRR.